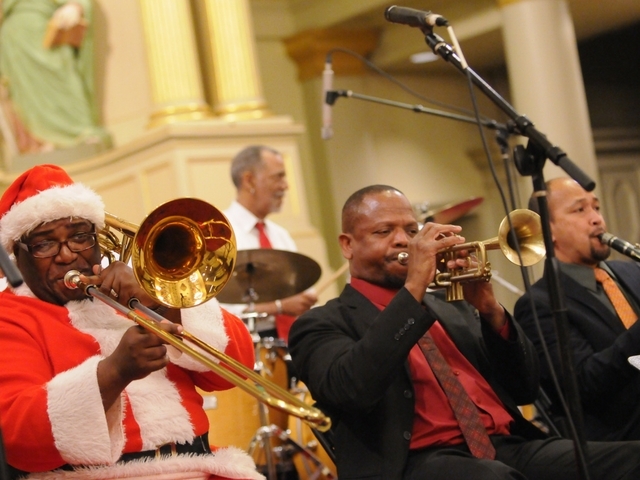 A New Orleans holiday is more than just a few special days marked on the calendar. The Big Easy greets the season with city-wide festivities, incredible events, and memorable experiences wherever you look. Lights blanketing the stately oaks on St. Charles Avenue. Tinsel twinkling on the iron balconies of the French Quarter. Holiday jazz music flowing out of the swinging doors of Frenchmen Street bars. It’s all a part of the magic of a New Orleans Holiday visit. 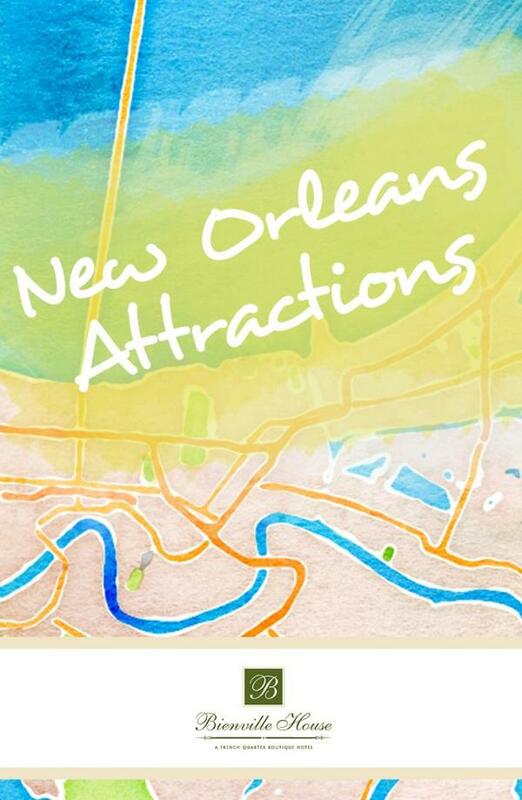 Wondering what to see during your holiday visit to New Orleans? Here’s a list of the city’s favorite events to experience in your NOLA winter wonderland! 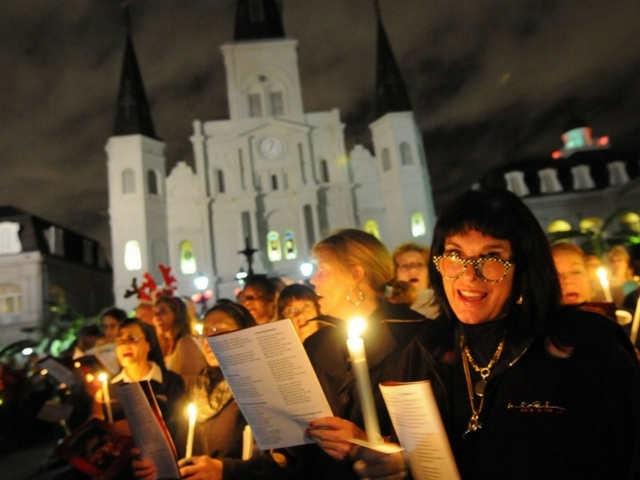 This New Orleans tradition brings locals and visitors together for an evening of candle-lit caroling inside Jackson Square. Rest your vocal chords and head to the epicenter of the French Quarter on Sunday, December 16, to belt out Christmas classics with thousands of your closest friends. The gates open at 6:30 p.m. and the singing begins at 7:00. The United States’ oldest-running Catholic cathedral is the stage for this free month-long series. There are 10 shows planned for this year’s celebration, with a lineup of artists that’s as stunning as the beautiful backdrop. From gospel and folk to ensembles and choir music, these concerts are sure to bring cheer to your seasonal celebrations. What started as a Creole Christmas tradition has transformed into a culinary custom hosted by New Orleans’ most iconic dining institutions. Originally, Creoles celebrated their Christmas “Reveillon” (French for “awakening”) directly after midnight mass on Christmas Eve. The late-night ritual ended the daylong fast, making it the cheery highlight of holiday festivities. Today, dozens of New Orleans restaurants still participate in this annual observance with inspired set dinner menus – and you don’t need to wait until midnight on Christmas Eve to enjoy them. At renowned NOLA restaurants all over the city – including Criollo, a refined Southern dining experience inside our sister hotel – you can dine on a festive holiday meal and keep the spirit of this great tradition alive throughout the month of December. 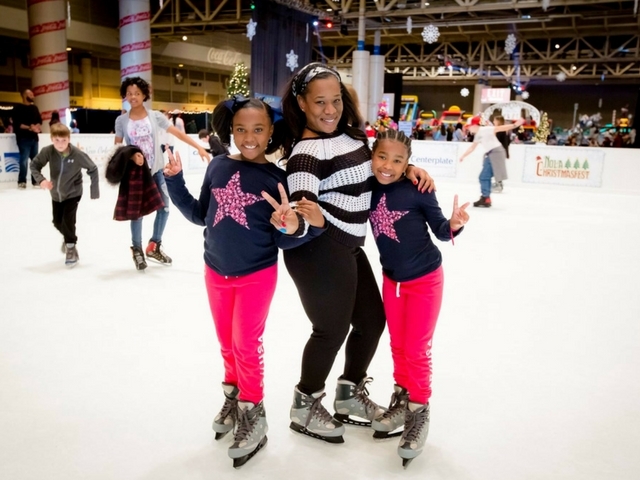 Every year during the holiday season, the Ernest N. Morial Convention Center transforms into a vibrant and family-friendly Christmas village for NOLA ChristmasFest! This annual celebration is home to a ton of holiday attractions including an ice-skating rink, thrilling ice slides, a maze, and a snowball area. Adults can enjoy seasonal cocktails and young ones can get their picture taken with the North Pole’s very own celebrity, Santa Claus! The festival takes place from December 22-31 and tickets are $20. Want to make this year’s holiday celebrations special? Treat yourself to a new tradition you deserve: a Happy Holi-Stay at Bienville House. Book now to take advantage of Bienville House’s exclusive holiday promotion with up to 15% off standard rates when you book you a Holi-Stay at Bienville House. Find the comfort and joy you’ve been searching for inside our newly-renovated rooms and suites. Wake up to our complimentary hot breakfast served fresh daily. Discover the magic of the French Quarter right outside your doorstep. Make your season bright with a lifetime of holiday memories at Bienville House Hotel – Book your Holi-Stay today!